Rockstar parent Take-Two Interactive Software has taken an Australian modder to court seeking a permanent injunction that would bar him from making unauthorised changes to its games. Take-Two currently has an application before the Federal Circuit Court seeking orders banning Jeremy Taylor from “taking any steps on his own behalf or for the purpose of assisting others creating, distributing or otherwise making available any alteration for use in connection with any game owned or developed by [Take-Two]”. 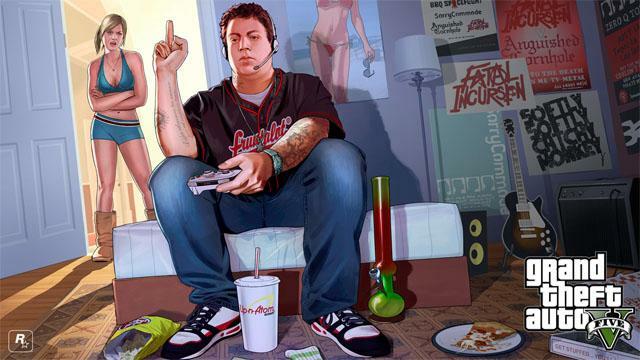 In documents filed with the court, the games publisher claims that Taylor, under the user name ‘Chr0m3 x MoDz’, made “unauthorised alterations” to Grand Theft Auto V that allowed him to “manipulate the actions” of other Grand Theft Auto Online players without their consent. “Unauthorised alterations included the creation of personal avatars and animations within GTAO which simulated violent and sexual acts,” a statement of claim filed by Take-Two states. “Other GTAO players upon whom the Alterations were used were unable to control the interference and disruption to their GTAO game,” the document states. The company says that Taylor released “unauthorised altered GTAV Software online” for other players to use. In August 2014, Take-Two identified that Taylor was behind the Chr0m3 x MoDz GTAO account. The company contacted Taylor and in November 2014 the two parties exchanged a deed in relation to GTAO. According to Take-Two, Taylor admitted that he had breached the GTAO EULA as well as Take-Two’s copyright. Under the terms of the deed (which, legally, is somewhat akin to a contract but without any payment involved), Taylor agreed to not make any further alterations to Rockstar’s software and to not publish the details of his unauthorised mods or related instructions. According to Take-Two, Taylor agreed to not “assist in any way in the development or alterations used in connection with any game developed or owned by the First Applicant, including but not limited to writing code, examining data packets and information exchanged between game users and servers, or exchanges between game users and copyright protection and access control devices”. He also agreed to not comment on the deed or settlement discussions with Take-Two. Take-Two is seeking a range of orders from the court. They include that Taylor be “permanently restrained from any possession, distribution, or use of the Software [GTA V] other than owning and playing unaltered, unmodified, commercial copies of Software published for a commercial video game console, such as a Sony Playstation4 or Microsoft Xbox One”. The company is also seeking damages and costs. The matter is listed for directions later this week. Taylor was approached for comment using an email address employed by Take-Two to serve copies of its court documents but did not respond. Rockstar declined a request for comment.